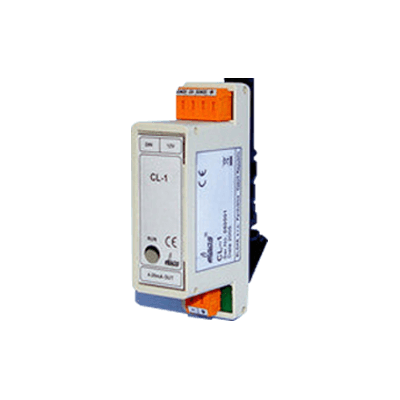 The CL-1 Current Loop module serves as a converter of digital signals to a 4-20mA current output signal. The module can be connected to the ELCOR-2 or xELCOR/xDATCOM series. The converter can be used for generating a continuous current signal proportional to measured values such as pressure, temperature or flow. It is possible to connect up to 4 CL-1 modules to a single device.